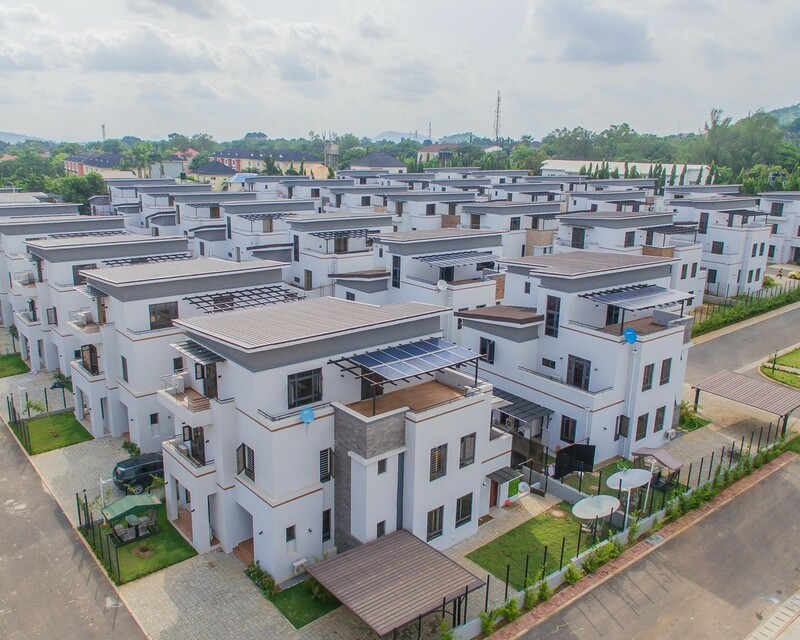 Sign-up and receive Property Email Alerts of Residential New Developments in Fct, Life Camp. Bellavue Residences is designed as the ideal setting for a privileged lifestyle. This is heightened by the distinct ambiance, the peaceful vistas, and beautifully landscaped garden that gives an amazing view of Jabi Lake. The eye-catching design of the Bellavue Residences embodies three basic elements: harmony, luxury and a unique identity. The facade combines a whitish and natural earth tone that makes a subtle statement. Differences levels add to the visual attraction, and contemporary aesthetic accentuates the charm. The elements green design make exclusive community a showcase of environment-friendly features and energy efficiency.